Our Australian grown merino wool top is a super soft 21 micron. Each shade is dyed here in Australia and is processed in our factory located in Euroa. 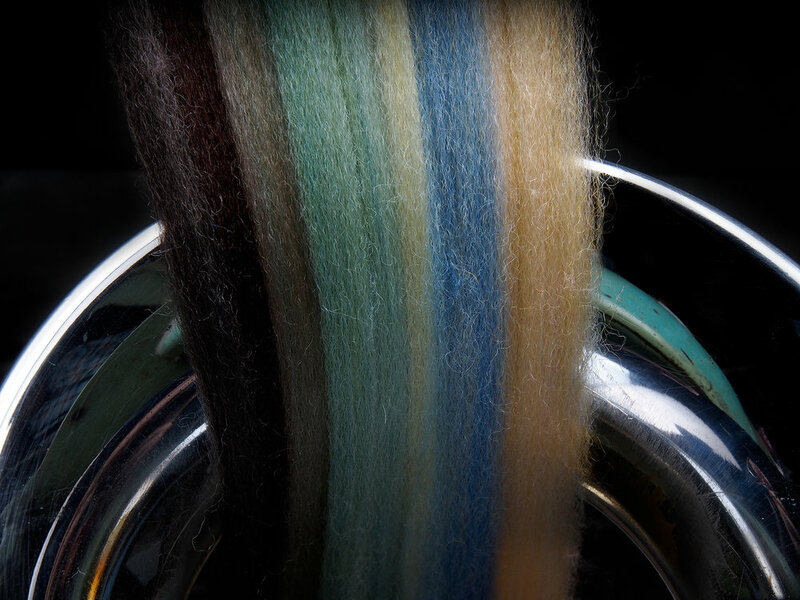 We also mix the wool sliver with luxury fibres to create unique colour blends ready for textile crafts. Our wool tops are ideally suited to produce a worsted yarn which is of exceptional quality. Soft enough to wear against your skin this merino wool is clean and free of veg. We aim to provide a level colour and consistency within the finished yarn construction. We have for 25 years supplied product to felt artists both in Australia and Internationally. Our range of colours is extensive and widely used for the ancient art of felt making and is often the basis of fashion outerwear, footwear and wall hangings.